I love January. Clean slate, resolutions, and new beginnings aside, what I love most about this month is the weather. I know this isn’t exactly a well-loved month for the majority, nor well-loved weather, but over in my little corner of the world January is a blessed respite from the tropical heat. During our (non-existent) “winter” the air is a touch cooler, the breeze a little less steamy, and you can sometimes pass a whole A/C-less day without a single bead of sweat forming. Even in the cramped city I inhabit, where the hot, humid air is usually trapped between the buildings and the smog, I blissfully open my windows (a risky operation at best for fear of the dust and pollution) to let in the much welcome morning chill. Another thing I love about this weather is that I can actually justify making all the “cold-weather” food I enjoy. Long-simmering braises, hearty soups and stews, and warm bowls of oatmeal. I love these foods, and will cook and eat them any time of the year, do not doubt it. Even in the heat of summer, if my cravings so dictate, you will find me nursing a pot of slow-cooked something or the other. But in January, ah blessed January, it has the extra pleasure of feeling so undeniably right. – Bring the water to a boil in a saucepan. – Once boiling, add oats and cook until they have softened, about 10 minutes, stirring occasionally. – Add the banana slices, saving some for topping, as well as 2 teaspoons of muscovado. Depending on the size of your bananas you may not use all of it. Stir the banana in – don’t worry about keeping the slices whole, some will break up and that’s what you want. – Taste the oatmeal and add the remaining teaspoon of muscovado if you’d like more sweetness. If the oatmeal is too dry for your taste add the milk gradually until you reach your desired consistency. – Remove from the heat, top with the reserved banana slices, and enjoy! Serves 1 (hungry breakfaster) or 2. Despite relishing the cool weather, you can’t take the island out of the island girl, so this bowl of oatmeal is shot through with slices of sweet banana and the deepest darkest muscovado I could find. The muscovado gives this an awesome molasses-y flavor and the bananas add a tropical perfume. It’s part homestead mornings under the duvet, and part lazy sarong-wrapped days. 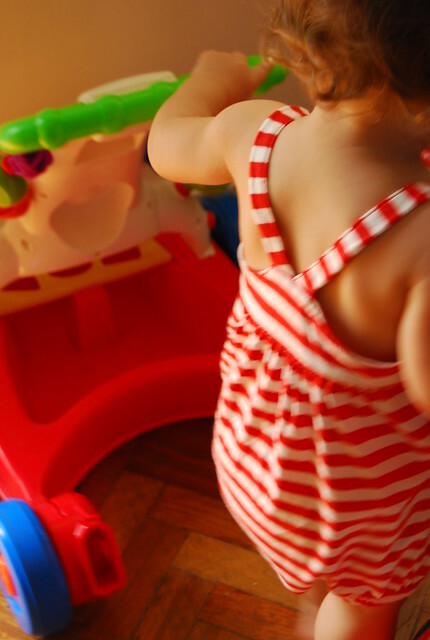 This is also something I’d love to have ready, warm and waiting, for little C…to fortify her for a day of exploration and discovery, her favorite activities. We moved from Canada (my home) to Florida 2 years ago and I crave cold days for making warm comfort food. When one strikes, you know there's a braise going into the oven…and oatmeal for breakfast. Can't wait for the next cold day to try the addition of muscovado! blogs right now are overrun with banana posts! i am lovin it! such a great flavor to work with and this is such a unique way to play with the fruit! Hi Christine! Over here if we wait for a true cold day we will be waiting forever…so even with a hint of a cool breeze we take advantage! Hi Meaghan! Love bananas…whether in baked goods or just plain with some guava jelly and a piece of cheese 🙂 Glad you enjoyed this post! Hi Mom-Friday! Well, oatmeal can be luscious with the right encouragement 🙂 Love champorado! January is, strangely enough, my favorite month. (And I still can't explain why…) Though I've been falling ill frequently of late thanks to the weird rainy-cold-hot-muggy weather we've been having of late, I vastly prefer it to the scorching heat of summer. what a genius idea to use muscovado! i think your recipe will get my oatmeal-phobic husband to eat oatmeal regularly. This is what i normally have for breakfast every morning (without the muscovado sugar tho..i just used dark brown). Def a wintry breakfast which reminds you of all things warm and lovely! Ang laki na ni little C! Our winters are certainly very different, but I'm glad you're cooking cold weather food because I could certainly use some warming up! 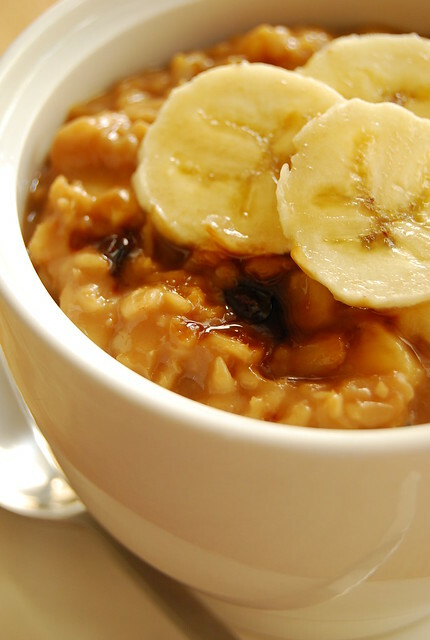 It was -30C here today with the wind chill and curling up with a bowl of warm banana oatmeal sounds perfect. Hi Anne! I know right? How times flies! I also like having muscovado on hand…so good! Hi Brilynn! -30C?? Wow. Wish I could send you some of the warmth here…sometimes we have too much and I would gladly send some off! The flip side is the heat and humidity we have to acclimatize ourselves to over here! Oooh. This breakfast is on top 3 of my list! I always have this. Lovely shot you took there. And that pic of your little girl, cute! Hi Shalum! Thank you 🙂 Glad you like this…I can never get enough of oatmeal and its variations!